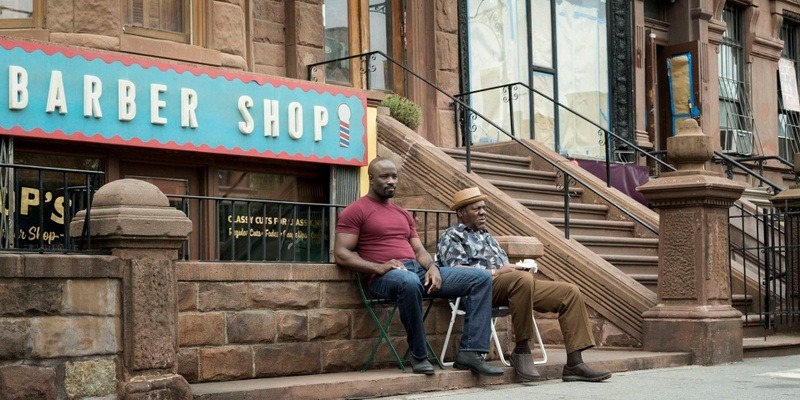 Netflix and the Marvel Cinematic Universe make a stop in Harlem for Luke Cage. The series, starring the man with unbreakable skin we met during Jessica Jones, continued to build the Netflix section of the MCU. 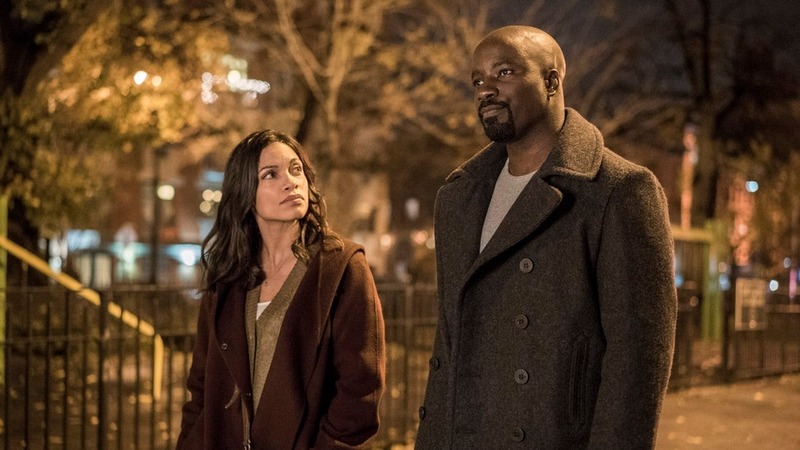 While critics praised a majority of the show, was it able to live up to the lofty standards set by Daredevil and Jessica Jones? Early on, I’d say this show was right on track to be another great Netflix series. 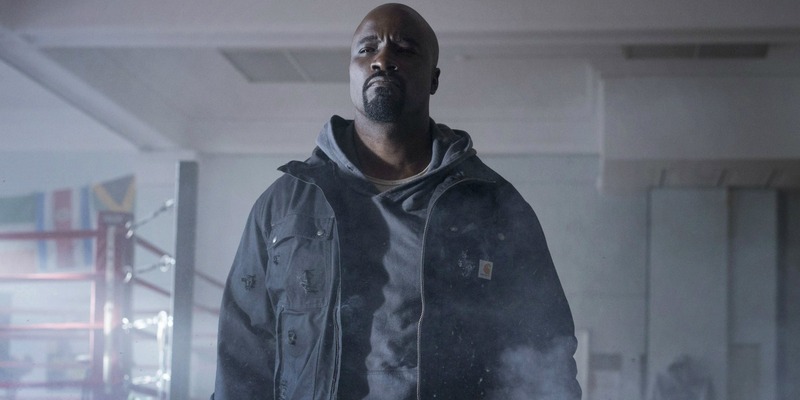 Mike Colter is great as Luke Cage, bringing a coolness to the role and coming across as a bad dude who feels like he belongs in this world. The show set up a lot with some very intriguing developments in the first few episodes. Pop (Frankie Faison) was only around for a bit, but his relationship with Luke was established well. Misty (Simone Missick), Cornell Stokes (Mahershala Ali), and Mariah Dillard (Alfre Woodard) are all given strong introductions. As with all of these write ups, the villain plays a major role. Cornell Stokes, a.k.a. Cottonmouth, seemed to be the show’s antagonist in the first half. And he was magnificent. Ali was charismatic and the character was layered. He had plenty of flaws, was tough, and the backstory given about his musical talents and being forced into this life was captivating. It felt like he was on pace to rank slightly behind Wilson Fisk and Kilgrave, two outstanding Netflix antagonists. Unfortunately, he was killed off in the seventh episode. He was replaced by Willis Stryker/Diamondback (Erik LaRay Harvey). That was one of the biggest falls off a cliff ever. Diamond wasn’t intimidating, had corny dialogue, and in the end, wore a goofy looking costume. We went from a stellar bad guy to the worst in the MCU so far. With talk of the villain out of the way, it’s time to mention a character that worked very well. Misty is one of the stronger supporting players in an MCU television show. She gets a lot of time to shine here, becoming a fully fleshed out person who you care about almost as much as you do for Luke. I appreciated the way we saw a lot of her flaws, especially during her interactions with Claire. She loses trust, gets paranoid, and makes mistakes, yet never wavers in what she believes in. The series does one thing excellently above all else. They nailed the Harlem feel. As someone who grew up not too far from Harlem, I can attest to how well this was executed. It almost seems like Harlem becomes a character. Even the little details are perfect. The same goes for the music. Considering how old Luke and Misty are, using music from an era they grew up in was incredibly fitting. I do think throwing in Method Man in the finale was a bit much. He was too heavy handed with a lot of what he said. 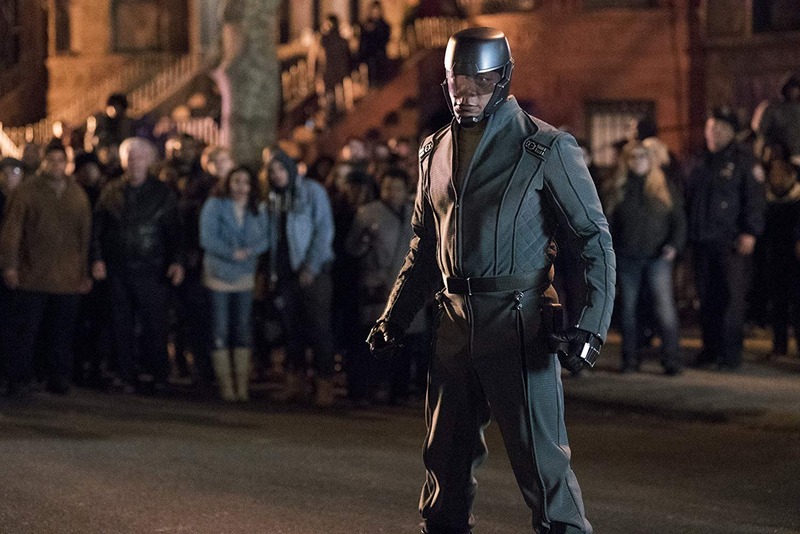 In that finale, Method Man literally mentions how important it is for there to be a bulletproof black superhero around. That’s what I mean by him being heavy handed. 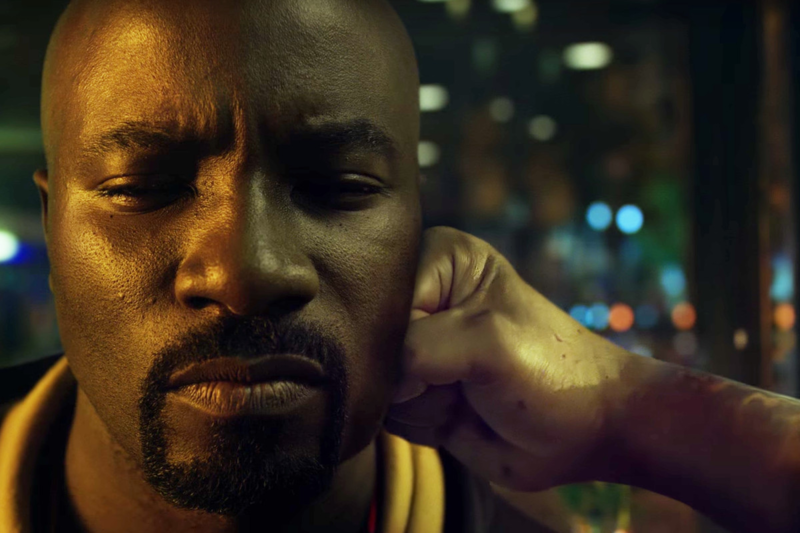 The show was built around the idea that Luke Cage was a bulletproof African American living in a world where people like him were unjustly shot by the police. The show didn’t need to beat us over the head with it there. However, that was just near the end. For the most part, they nailed the idea behind it all. There was a real sense of Luke being the right kind of hero at the right time. As always, Claire Temple (Rosario Dawson) was back for another Netflix series. 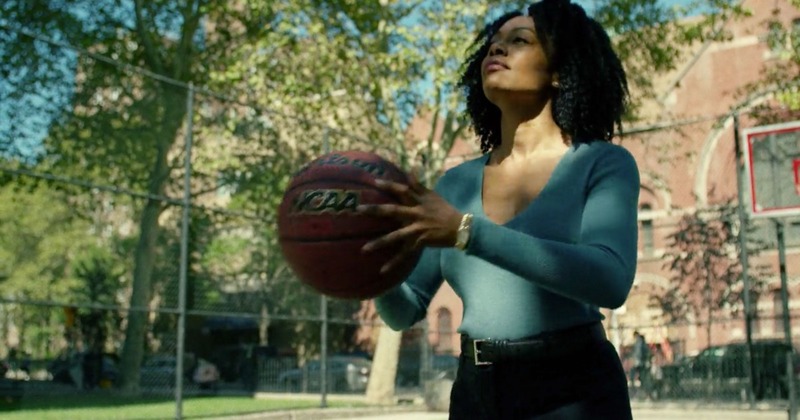 This time, she played the biggest role since the first season of Daredevil. Though she doesn’t show up for a few episodes, she’s around until the very end. And she forms a bond and relationship with Luke. It’s not a romance I was all that sold on. The actors seemed to lack chemistry to me. Dawson had more with Charlie Cox, and while I didn’t love that one either, it was for different reasons. It’s not a terrible romance, just not a very good one. Other than Claire, there were a few MCU connections in this. At one point, a man on the street corner was selling bootleg copies of the “incident,” which is the big New York battle in The Avengers. Mariah mentioned Wilson Fisk and another character brings up Hell’s Kitchen, which are both Daredevil references. There’s also a great inclusion from Jessica Jones as an episode began with Trish Walker talking about Luke on the radio. Near the end, Claire grabbed a phone number for a self defense class taught by Colleen Wing, who we’ll see in Iron Fist. To wrap this up, there were two more obscure references I caught. For one, when Luke was incarcerated, it was at Seagate Prison. That’s the same place where Trevor Slattery, from Iron Man 3, and Justin Hammer, villain in Iron Man 2, are locked up. Hammer’s name also came up as the maker of Diamondback’s costume. There was a ton of potential for this to end up very high on the list of MCU television shows. 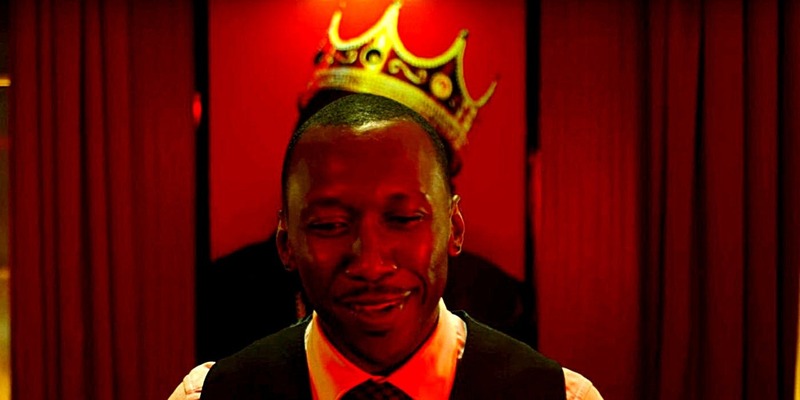 Cottonmouth was a stellar character, but when he died, the show seemed to lose a lot of steam. It was still good and ultimately an enjoyable show. It just never quite grabbed me the way the other Netflix shows have to this point.